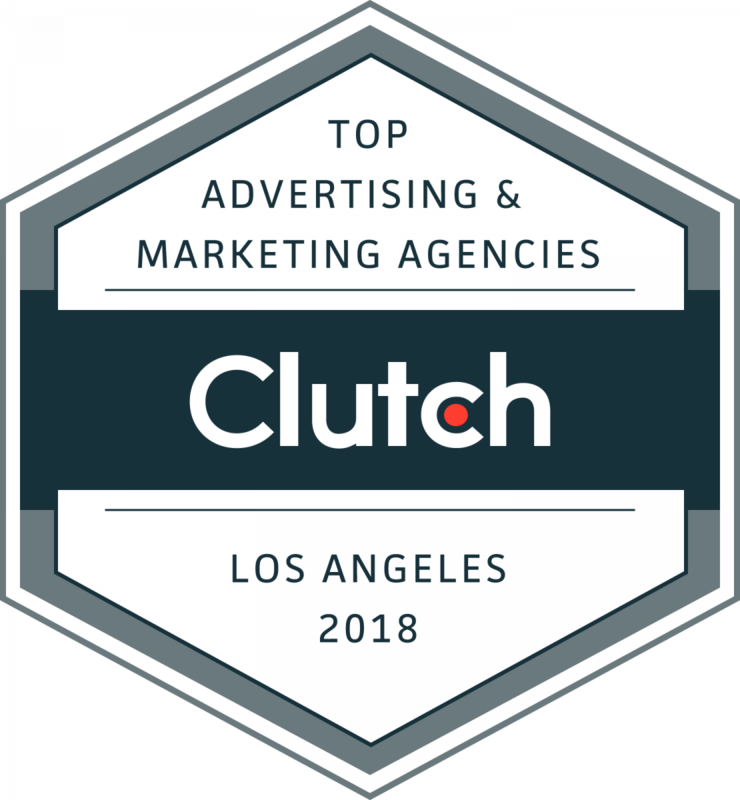 WASHINGTON, DC, March 27, 2018 – Clutch released new research that names the top marketing and advertising agencies and IT and business service providers in Los Angeles. These 142 companies were ranked based on services offered, market presence, work quality, and client feedback. PPC Companies: Directive Consulting, 180Fusion, Wpromote, Kobe Digital, Thrive Internet Marketing Agency, LAD Solutions, Single Grain, Bruce Clay, Inc., Custom Creatives, eMarketing Concepts, AMP Agency, R6S, Coalition Technologies, Over The Top SEO, Websites Depot inc.
Inbound Marketing Agencies: Scorpion, DASH TWO, AMP Agency, SEOP, SIngle Grain, Springbox, Custom Creatives, Column Five, Over The Top SEO, Everett Andrew Marketing, Ranksharks, Dreambox Creations, LikeSocialBiz, Think Strategy, Websites Depot inc.
Naming Agencies: The Naming Group, IdeaWork Studios, Breviti, Column Five, Sensis, Ripe Media, TRIXMEDIA Inc, Incitrio, Marc Posch Design Group, The MIller Group, Mistress, blend, Branding Los Angeles, AMGADIZATION, Weberous Web Design. Big Data Consultants: Scorpion, Wpromote, Hvantage Technologies Inc, Margasoft Corp.
It’s free and simple to get listed on Clutch. However, only the leading companies in each industry are recognized as leaders. New companies and reviews are added to Clutch daily. For a chance to be featured as a one of Clutch’s 2019 Los Angeles Leaders, apply now. Getting listed is a simple, two-step process that takes less than 20-minutes. These results are a snapshot of Clutch’s Leaders Matrices on March 19, 2018. These rankings may change daily and may not be what is currently reflected on Clutch’s website. A B2B research, ratings, and reviews firm in the heart of Washington, DC, Clutch connects small and medium businesses with the best-fit agencies, software, or consultants they need to tackle business challenges together and with confidence. Our methodology compares business service providers and software in a specific market based on verified client reviews, services offered, work quality, and market presence.